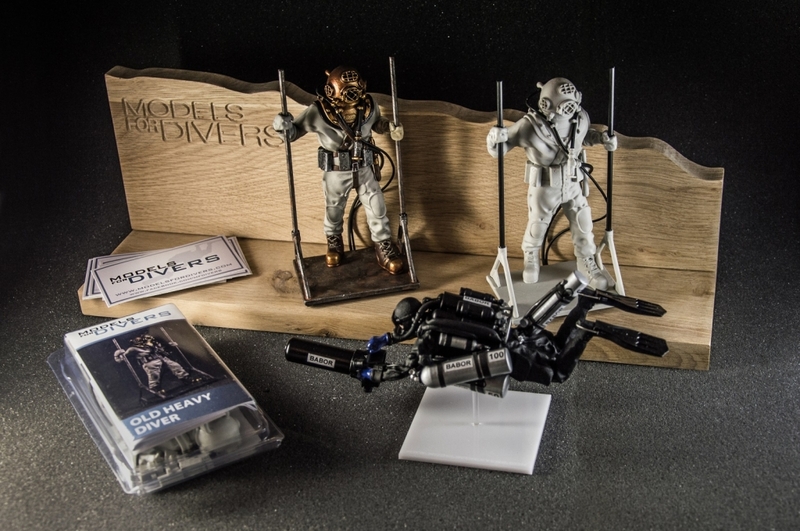 When we aren't diving on the wrecks of the Baltic Sea, we are hard at work creating our one of a kind models for divers. Our passion for diving and design is evident in the details of our work. 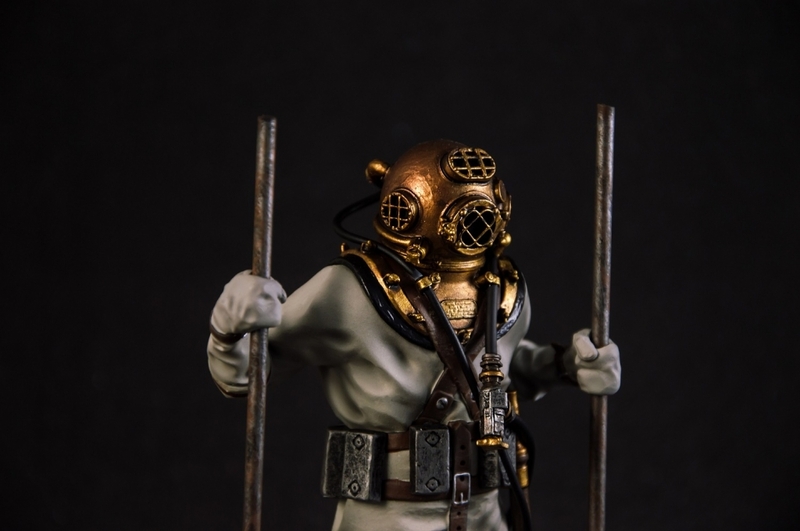 Each of our figurines is a completely unique, custom-made piece with an astounding level of specification and aesthetics. How do we make our figurines? Virtual models are computer rendered and 3D printed to meticulously recreate original equipment configurations. We are able to capture an impressive level of detail that makes each piece a work of art. A variety of materials are used in the assembly process to create a more accurate look for each model. Hoses and bands are rubber, springs are metal and each piece is completed with a plexiglass base for ease of display. Each order is hand-assembled and intricately painted. Interested in having a model made? Browse the gallery to see our work or shop in the store. Get in touch so that we can start on your model. 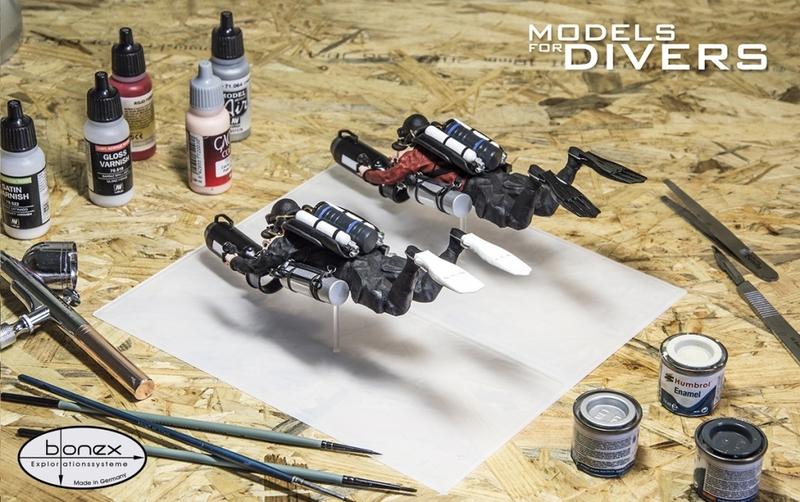 If you are eager to try your hand at making a model, we offer self-assembly kits.